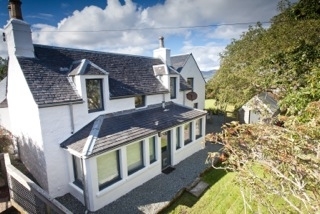 Welcome to Willowbank, a stunning holiday cottage located by the beach in Broadford Bay, on the Isle of Skye. 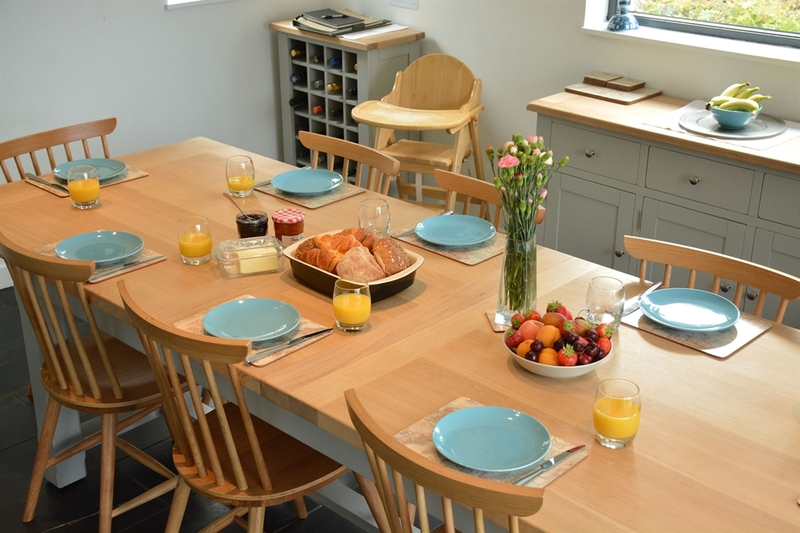 It offers luxury self-catering accommodation for up to 8 people plus a travel cot. The village of Broadford stretches along a wide tidal bay: a fantastic place for rockpooling, birdwatching, kayaking or simply enjoying an afternoon of sun, sand and sea. It is an ideal base from which to explore Skye, with easy access to Sleat, the boat trips at Elgol, the Red and Black Cuillin mountains, and is about 30 mins. drive from Portree. 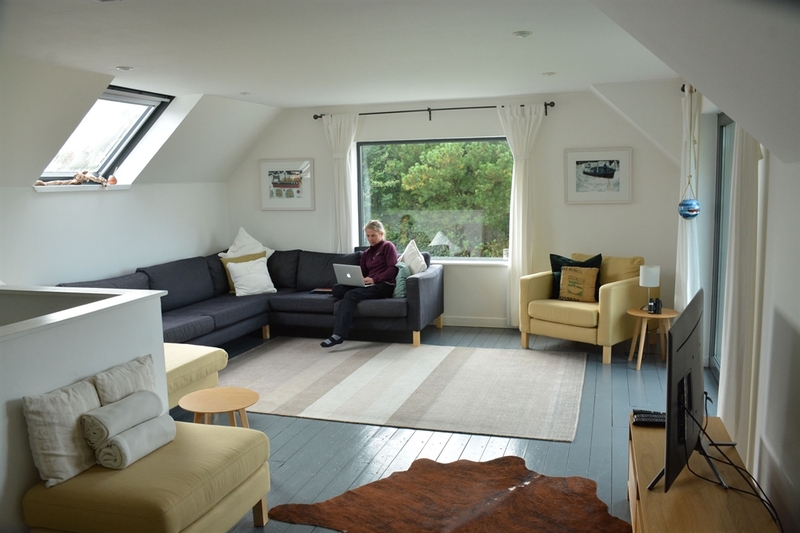 It is also just 15 minutes drive from the Skye Bridge, offering opportunities to explore the hills of Kintail and the delightful villages of Plockton and Glenelg on the mainland. Broadford itself offers a range of facilities plus a variety of shops, restaurants, and galleries. It is at the centre of a network of low level walks allowing you to discover some of the area’s extraordinary archaeological remains, as well as peaceful picnic spots, and tranquil places to enjoy the view and look out for dolphins, sea otters, or white-tailed eagles. 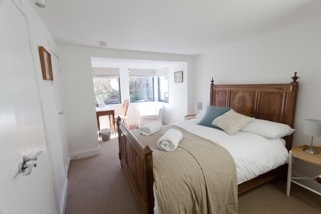 Dating back to the mid 1800s, the house has recently undergone extensive refurbishment and has been equipped to a high standard. 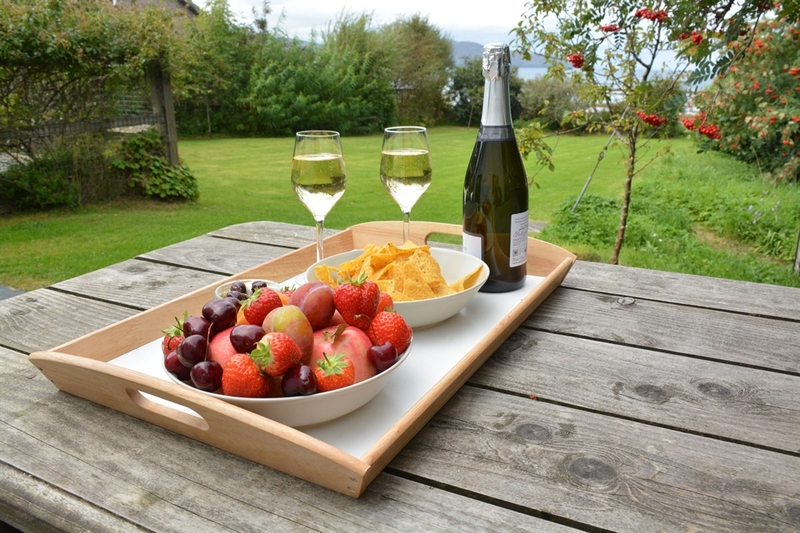 An added feature of the property is the delightful enclosed garden with lots of space to play, enjoy alfresco meals or merely to relax whilst watching a Skye sunset over the bay – or, if you’re lucky, the Northern Lights. 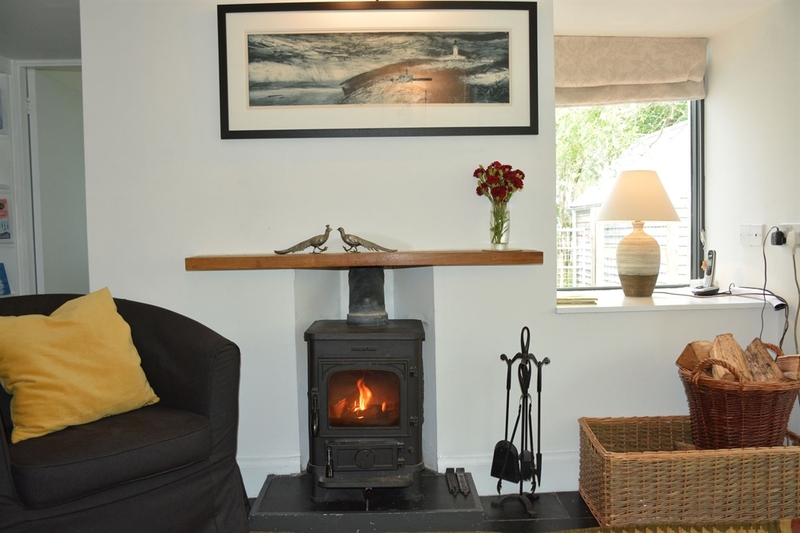 Whether it’s a lazy Sunday morning reading the paper in front of the wood burner before a pub lunch or an afternoon on the beach with the children, Willowbank is a perfect base for your year round break. We hope you enjoy your visit to the fantastic Isle of Skye.